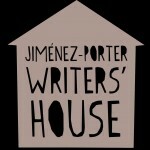 Welcome to the Jiménez-Porter Writers’ House! The Jiménez-Porter Writers’ House is a campus-wide literary center for the study of creative writing across cultures. Writers’ House residents live in a close community of 50 to 60 undergraduate students who share an interest in creating stories, poems, and plays. Students attend colloquia, share their writing with each other in a supportive workshop environment, and attend additional special events together. Writers’ House students organize Litfest, our annual literary bash, every Spring. Writers’ House offers a two-year program, although rising seniors may complete the program in one year if they have adequate space in their schedules. Transfer students may apply to the program. Any member of the campus community may join the editorial staff of Stylus, the campus-wide literary journal housed and supported by Writers’ House. Literary study abroad (to Chile, Ireland, and Morocco) is offered to the campus student body at large. Advanced students who have finished the course of study and are pursuing a career in teaching may also apply to the third year Undergraduate Teaching Assistantship program. Members of the public are invited to attend the free and open Writers Here and Now visiting author series.